Nobody can resist a colourful piñata so for June, we decided to bring this vibrant design back in this week's Flashback from 2017! What’s so cool about piñatas (if the rainbow colours weren’t enough!) is that it can be used for different celebrations, simply change up your sentiment and you’ll be ready to really surprise a loved one! Look at his happy little face, what’s not to love? To help you focus on the creativity, we have a free template to help you make this cute craft! Read on to find out how to make your own. 2. Once cut out, place to the side and choose your chosen colours of Dovecraft Coloured 12x12 paper. Cut 3cm width strips and hold them together as you cut along the edge to create a fringe effect. 3. 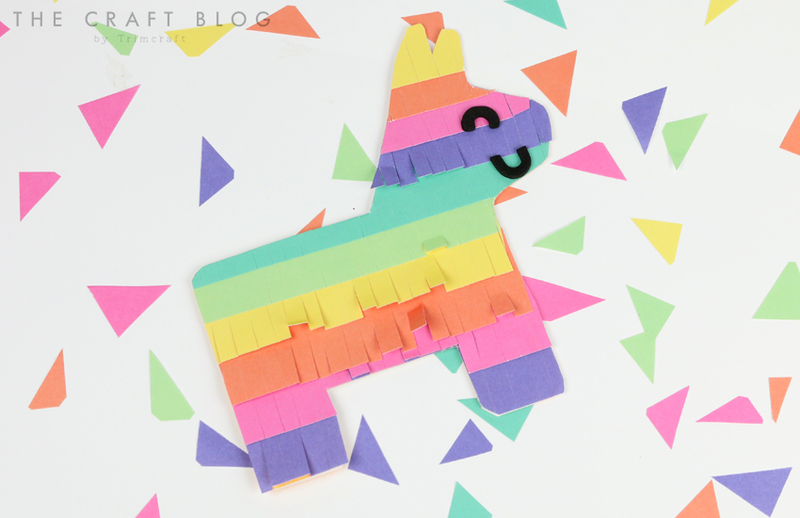 Begin adhering your fringed strips of coloured paper onto your piñata card with Dovecraft Perma Fix tape. Ensure to alternate the colours and overlap each piece. 4. Once complete, turn your piñata card shape over and cut off the excess fringed paper. 5. Take a two ‘U’ stickers from the Simply Creative Alphabet Sticker set, cut down and adhere to the piñata to create a smiling face. This craft is perfect for the kids too because it’s easy, colourful and the outcome is just so cool! 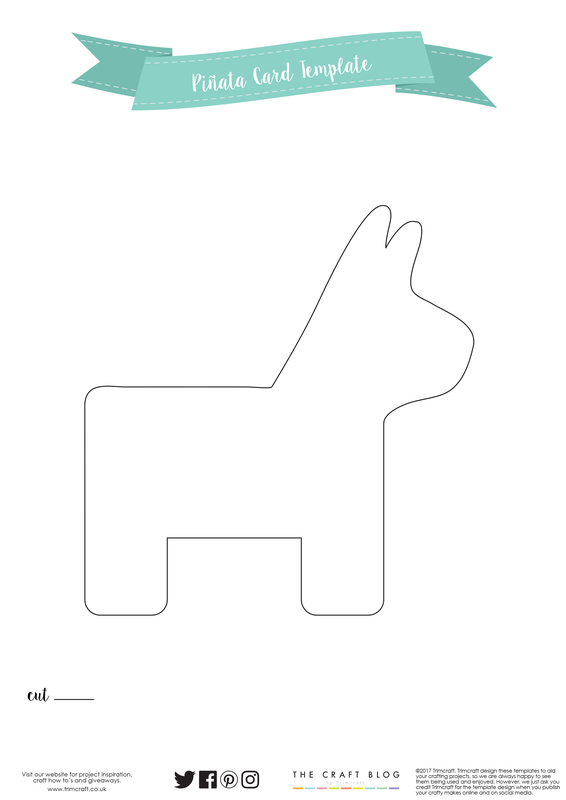 How will you use our free piñata card shape? We would love to see your versions so don’t forget to #trimcraft when uploading to social media and to share your cards in the Inspiration area!